Second visit to the beer festival and the pub soon fills up with eager drinkers. Goose Eye - Tilli's Tipple 4.00 A dark brown bitter with a sweet toffee malt start leading to a hoppy finish. My score 16/20. Mallinsons - Tilli Hops 3.80 Pale bitter with a good dose of juicy, fruity citrus hops. Good malt character to give a full flavoured and well balanced beer. My score 16/20. Howard Town - Castle Ale 4.00 Golden ale with an excellent citrus hop character. Good malt balance to give what is H.T. 's best hoppy beer to date. My score 16/20. Arkwright's - Tarquin Fin tim lin bin whin bim lim bus stop F'Tang F'Tang Ole Biscuitbarrel 3.90 Pale bitter with a good balance of malt and hop flavours and a slightly fruity finish. My score 15/20. Yorkshire Dales - Old Wive's Pot Hole 4.40 Dark brown bitter with a dry, bitter malt character but also good fruity hoppiness. Very dry finish. My score 15/20. Welbeck Abbey - Bay Middleton 3.80 Amber/copper coloured and very bitter. Dry, bitter finish. My score 13/20. Owenshaw Mill - Hollyhop 3.90 Pale and hoppy with a dry, hoppy finish. My score 14/20. Yorkshire Dales - Skyreholme 3.90 Very pale bitter with a dry citrus hop character. Dry, bitter citrus finish. My score 14/20. Scarborough - Snowy Bay 4.10 Very pale beer with a sweetish malt character and little hoppiness. Slightly unbalanced. My score 14/20. Wensleydale - Stuka 4.20 Amber bitter with a dry, bitter hop character and a little maltiness. Dry, malty finish. my score 14/20. Beer festival in progress and a good few in this evening. Arkwright's - Choc Cherry Stout 4.70 Not much cherry, but makes up for it with loads of chocolate malt. Smooth and full bodied with a malty finish. My score 17/20. Exeter - 'fraid Not 4.00 Well balanced tradtional style bitter with some malt and fruity hop. My score 15/20. Mithril - Movember 4.00 Pale with good citrus hop character. A little malt balance. My score 15/20. MòR - Tea, Vicar? 3.80 Amber bitter with a dryish bitter flavour and a little hoppiness. My score 14/20. Wilson Potter - Pacific Star 3.90 Golden bitter with a dry, hoppy character. A little citrus fruit and some malt balance. My score 14/20. River Leven - Blonde 4.00 Pale and slightly smokey with little hop character. My score 14/20. Summer beer festival time with the usual 46 handpumps in the marquee and more inside. Black Paw - Paragon Ale 2.80 Pale low strength bitter packed full of flavour. It manages to be both malty and hoppy with a fruity sweetness too. My score 16/20. Exit 33 (formerly The Brew Company then Sky's Edge) - Black Diamond 4.40 Very roasty black stout with coffee and chocolate notes and some background hop. My score 16/20. Treboom - Yorkshire Sparkle 4.00 Very pale and hoppy beer with a dryish hoppy finish. My score 15/20. Old School (OSB) - Hopscotch 3.70 Pale bitter with a good citrus hop character and a fruity citrus hop finish. My score 15/20. Great Heck - Diamond Geezer 3.80 Pale bitter with a good citrus hop character and a sweetish malt balance. My score 15/20. Brass Castle - Q-Queenie 4.00 Ruby coloured malty ale in the red ale style, malty but bitter with a moderate hop character and a dry malty finish. My score 15/20. North Riding Brewpub - Peasholm Red 4.60 A ruby bitter with very good citrus hop character. Smooth and full bodied with a fruity hop finish. My score 15/20. Oates - OMT 3.80 A golden ale with a dryish bitter hop character and a dry finish. My score 14/20. Lytham - 2012 4.10 Pale gold with a sweet and malty character that is bordering on diactyl (butterscotch). Little hoppiness to counteract the rather cloying sweetness. My score 14/20. Mallinsons - Pique-Nique 4.10 Very pale and very hoppy with a dry citrus type hop giving a dry, citrus finish. My score 14/20. Fairly quiet on a Saturday afternoon. Mallinsons - Clodhopper 4.00 Pale and hoppy with good citrus hop character. Pleasant fruity finish. My score 15/20. Wessex - Smart Brewing Market Mild 4.30 Dark brown strong mild with bittersweet malt flavours and a fairly dry finish. My score 15/20. Always good to visit this great real ale pub. A good crowd in. We called a taxi at closing time – it arrived in two minutes and I was back in my hotel room in less than 10. Quite a contrast to trying to get home late at night in London. Abbeydale - Beer Works Dr Morton's Sauce of the Nile 4.10 Pale and hoppy with a bit of something indefinable. Great Heck - RSJ 4.80 A really good, pale, dry, hoppy beer. Brewshed - Pale Ale 3.90 A golden ale. Richly malty and with a good hop presence too. Tyne Bank - Heavenly Porter 5.40 Dark and chocolately. Cocoa powder. Second visit to the excellent Spring Beer Festival. Wilson Potter - Harcles Hill 3.70 Bitter golden beer with a dry, hoppy finish. My score 14/20. Lytham - Twilight 4.00 Dark brown mild with good malt character and a quite dry finish with a hint of hoppiness. My score 15/20. Owenshaw Mill - Starburst 3.70 Pale and hoppy special brew for the beer festival. Plenty of citrus hops give a good kick to this beer. My score 15/20. Goose Eye - Birthday Girl 4.50 Special brew for Folly the pub dog. Dark amber with a malty and slighty nutty flavour. Some hop in the finish. My score 15/20. Bridestones - Black Jack 4.50 Dark brown porter with a good malt character and some hop bitterness in the finish. My score 15/20. Yorkshire Dales - The Stang 3.80 Pale bitter beer with intense citrus hop flavours. Dry, citrus hop finish. My score 14/20. Prospect - Golden Prospects 3.80 Pale gold with quite a bitter hop character. Dry, hoppy finish. My score 14/20. Spring beer festival time and the pub is buzzing on Friday evening. Bridgehouse - Porter 4.50 Dark brown porter with a sweet malty character with hints of toffee and caramel and some hoppiness. Malt and fruit in the finish. My score 16/20. Scarborough - Stout 4.60 Good roasty stout with hints of coffee. Full bodied with a dry roast finish. My score 16/20. Swannay (formerly Highland) - Light Munro 3.00 A true Scottish 60/- ale, dark brown and malty with a slightly bitter edge. Some fruit in the finish. My score 15/20. Yorkshire Dales - Black Shiver 4.40 Dark bitter with good citrus hop character and some dark malt flavours. Dry, citrus hop finish. Ripple Steam - Classic IPA 4.50 Amber bitter with a bitter edge with a fresh hop taste. Dry, hoppy finish. My score 14/20. DB Brew - Ugly Australian 4.20 Amber and bitter with underlying maltiness. The hop character verging on phenolic giving a rather harsh finish to the beer. My score 12/20. My second day at the Winter festival - steadily busier as ever. Enville - Cherry Gothic 5.20 Gothic stout with cherries - excellent! All the smoothness of the stout with a good fruity and slightly sour cherry punch which complements the sweet malts perfectly. My score 17/20. Saxon City Ales - Iceni 3.80 Well balanced pale ale with good sweetish malt and fruity hop character. My score 15/20. Bank Top - Piet Heyn 3.90 Malty pale beer with lots of biscuity malt and just a hint of hops. Finish is sweetish and malty. My score 15/20. Shottle Farm - Shottle Farm IPA 4.50 Good hop character to this pale bitter with a little malt for balance. My score 15/20. WharfeBank - Verbeia Pale Ale (VPA) 3.60 Golden ale with a fairly bitter character with sweetish toffee malt notes. Rather dry finish. My score 14/20. Two Roses - Glorious 4.00 Rather hazy pale bitter with a fairly dry bitter hop character. My score 14/20 with B for quality. Abbeydale - Beer Works Dr Morton's Rubrication 4.00 Golden bitter with a dryish hop flavour and a dry, bitter finish. My score 14/20. Junction - Runaway Train 3.90 Not worth stopping for - very bitter without being hoppy and a generally unbalanced bitterness throughout. My score 9/20. Winter beer festival in progress and plenty of thirsty punters on a Friday evening. Goose Eye - Into the Abyss 4.20 A dark brown bitter with a good mix of sweet toffee malt and fruity hop. The finish is quite dry. My score 16/20. Wellington Inn - Field Marshall 3.80 Dark brown bitter with a chocolate malt character balanced by some hop bitterness. Quite a dry finish. My score 15/20. Exit 33 (formerly The Brew Company then Sky's Edge) - Cinnamon Coffee Porter 3.90 Plenty of bitter roast coffee flavour, but this rather drowns out the cinnamon. Well hopped with a dryish finish. My score 15/20. Owenshaw Mill - Decaduck 3.60 Special for the Star Inn Winter beer festival, this is a pale bitter beer with a bitter citrus hop character giving a dry, bitter finish. My score 14/20. Summer beer festival in progress. Coastal - Pier Porter 4.30 Black porter with good hop and malt character giving a full bodied and flavoursome beer. My score 16/20. Amber Ales - Double Chocolate Stout 6.00 Strong black stout with a deep roast malt flavour with hints of dark, earthy chocolate. Dry, earthy, chocolate finish. My score 16/20. Little Ale Cart - Steel City Rapture 4.70 Huge juicy citrus and tropical fruit hop flavours in this, so strong that I barely noticed the dry hopping with Sorachi Ace. There was a good malt balance to this and a good lingering fruity finish. My score 16/20. Mayflower - Lemonhead 3.90 Pale with good citrus hop character and a crisp fruity lemon flavour. My score 15/20. Amber Ales - Sterling Blonde 4.00 Pale with good citrus hop character and some malt to balance. Mu score 15/20. Dancing Duck - Nice Weather (was Nice Weather 4 Ducks) 4.10 Amber bitter with good mix of hop and malt flavours. Dryish finish. My score 15/20. Green Mill - Swarthy Brew Stout 4.40 Dark brown stout with a bitter flavour, more derived from hops than roast malt. Slightly lacking in body. My score 15/20. Spire - Ow Much 3.50 Pale bitter beer with strong bitterness and little fruity sweetness. My score 14/20. Winster Valley - Hurdler 3.50 Pale bitter brewed for horse racing at Cartmel. Quite bitter with a dry, bitter finish. My score 14/20. Woodlands - Hop as Hell 4.00 Very pale and hoppy, but not quite "hell" style. Dry citrus hop flavour dominates through to the finish. My score 14/20. Goose Eye - Gold 4.10 Dark gold in colour, very dry and bitter with little malt balance. Not really to my taste with a very dry, bitter finish. My score 13/20. Owenshaw Mill - Duck Star 4.40 Special dry hopped version for this festival. Dry, bitter and hoppy as expected. My score 14/20. 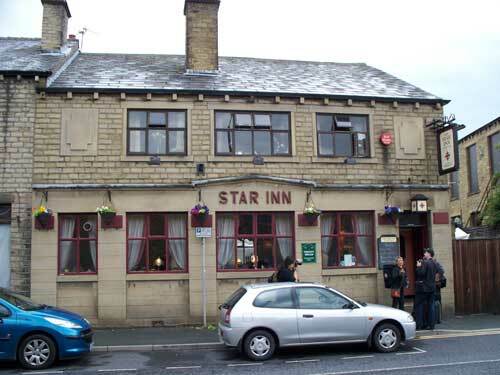 The pub is found in Huddersfield, West Yorkshire, HD1 3PJ. Superb back street pub serving Taylor's beer as regular plus many guests from all around the country and local beers too. Legendary beer festivals held 3 times a year with all beers on handpump, 46 of them in the rear marquee. 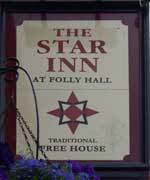 One of the top multi-ale freehouses in the country. We have visited this pub 21 times, seen 149 different beers and tried 140 of them.